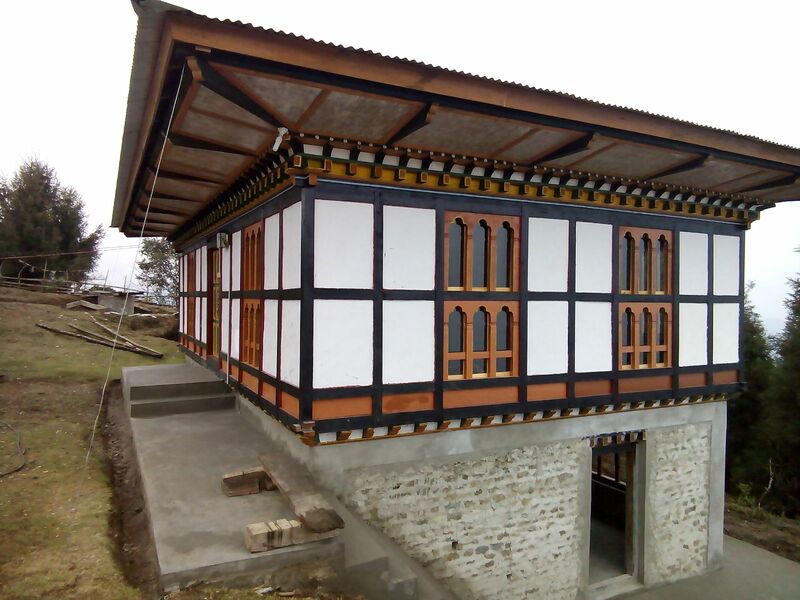 The construction of a two-storey building comprising of classrooms and living quarters for the nuns at Upper Chothpo Goenpa nunnery. 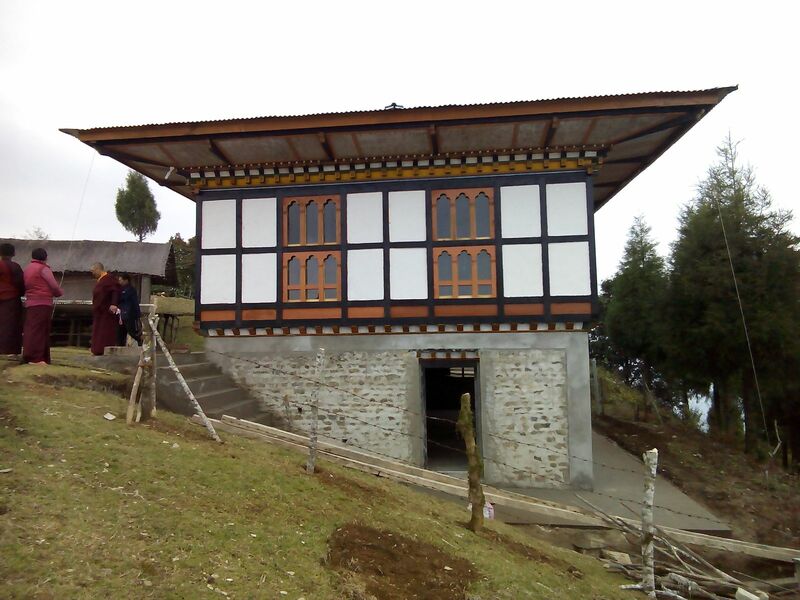 Upper Chothpo Goenpa nunnery is located in Pemagateshel District, Eastern Bhutan and takes a three-day drive to arrive from Thimphu. The nunnery is situated high up a mountain with no road access. The only way to get to it is an hour’s trek along a narrow, rocky uneven path which is quite steep at some points. Most of the time, it is walking in single file only. The nunnery is home to twelve (12) nuns ranging in ages from 15 to 30 years old. Owing to insufficient living quarters, some of the nuns have to sleep in a corner of the nunnery’s old temple. Every morning, they have to put away whatever they use to sleep on and clear the space for prayers and other activities in the temple. Although the nunnery has access to a large area of land in peaceful surroundings, they lack resources to build a proper living quarter. 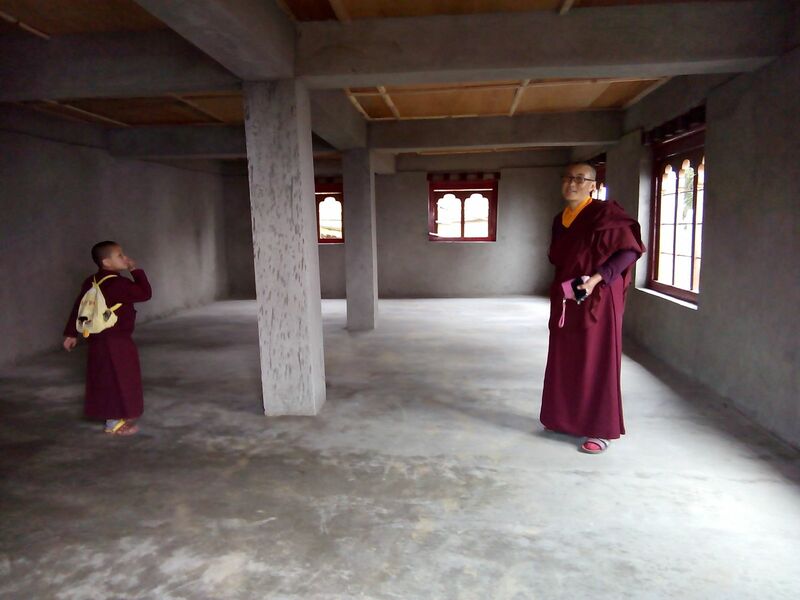 Through partial support from FFM, the two-storey building will have classrooms downstairs and living quarters for nuns upstairs.